Charlotte passed away this afternoon at about 12:30 PM. Her departure was very peaceful and very quiet. Her breathing gradually slowed and she actually opened her eye (partially) on her last breath. Then she did not breath again. Even in her passing she was beautiful. The house is now filled with the Noah's Children folks. Prayers have been said by Pastor Ed. We have cried many tears (and they will not be the last) but I think I can safely say that we are at peace. Family will be coming into town soon. At this point, we appreciate that you respect our privacy and our need for some time alone. Roger and I may possibly "retreat" somewhere for a few days. Children are welcome and encouraged. Relief that CJ has found peace, but so sad for your tragic loss. It's so unfair that you should have to part with such a wonderful daughter so early. The updates have been much appreciated, but glad you are taking some private time for yourselves now. We love you guys and continue to think about you all the time. Many rejoice in the Kindgom of Heaven today. May peace surround your home as you endure these difficult days ahead. We were privileged to be with you all exactly one week ago to the hour reading to your sweet girl. Not an hour has pass since that we haven't thought of you. Peace be with you both. Our thoughts are with you, as they have been throughout the past year. Thank you for sharing the news. Please now do whatever you need to do to heal. Hugs to you both. Goodbye Sweet Charlotte! May the Holy Comforter be with you all at this time. You all are in our thoughts and prayers! May the gentle touch of your very own angel bring you peace and comfort. R.I.P. Sweet Charlotte.....Heaven has a new beautiful butterfly angel. You are free. You are whole. You are healthy. Flutter little sweet one. Flutter those wings. My heart breaks for you, but as are you I am relieved to know she is now flying free. Your strength continues to amaze me. Please know when you need a shoulder, we are all here for you! You will continue to be in my thoughts and prayers and may you find the strength and peace through the difficult days ahead. Good Bye beautiful butterfly. Thank you for blessing us with your presence these past 4 years. You are and always will be sooooo loved by all of us. RIP Charlotte. We deeply feel for you today in your loss of CJ. We thank you for sharing your story with us so personally and poignantly over the past year. May heaven rejoice in the gift of your Charlotte and we pray that you may find some much needed peace from this day forward. God be with you at this time. She is at peace. thank you for sharing your beautiful daughter with me. i wish i could have met her. my thoughts and prayers go out to your and your loved ones. every time i see a butterfly, i will think of charlotte. rest in peace beautiful butterfly. God bless you both and the beautiful new angel in Heaven. We love you and will always remember our favorite Peanut girl. I am sure there are hippos in heaven...and Frosty the Snowman! The world will be less without her - but she made an imprint that many people who live to be 100 couldn't accomplish... Her memory and spirit will be the driving force in changing lives. There is a new star in heaven with pink and purple sparkling throughout the cosmos. We are sure CJ is reciting all her favorite story plots to all the other angels, entertaining them, and being welcomed with smiles and open arms. We wish we could find the words to provide some comfort and ease to you. Even Frosty has tears. My thoughts and prayers are with you. Each time I saw a posting the past week or so, I would hold my breath. Now I am holding my breath because I am trying to hold in the tears. They will remember your birthdays, with "if only" and "would have been"
Fly, little one! Your story has blessed me and made me a better person. You have left a legacy through your four short years that most will never accomplish. Thank you, God, for the blessing of CJ! I am blown away by the strength and courage you both display at such a difficult time. Our thoughts and prayers are with the Reynolds family now and in the coming days, weeks, months, and years. Thank you for letting us into your lives to share in this journey with you. Sweet little Charlotte will be missed so much! May God's overwhelming love and peace surround you and your family now and forever more! Have a safe flight home Charlotte! You left a legacy of grace, love, and strength. Roger & Rachel: Your circle of fans stands quietly around you, hands clasped together, heads bowed, eyes flowing with tears but suddenly one by one we gaze up and a tiny smile of peace and hope appears on our faces because we know we will see Charlotte in everyday beauty and she lives on in each of our hearts. Thank you for allowing us to travel on this journey with you and for showing us the true beauty of love. We respect your need for time and privacy. And in the words of 2 of the wisest people I know: love and hug one another! I am so sorry for your loss but so happy for Charlotte. She is with our wonderful Lord, happy, healthy, and at peace. May you find comfort in that knowledge, comfort and peace in our Lord. May God hold you tight during this difficult time. May you feel held by God as the days unfold. My heart sends prayers. Thank you for sharing CJ, and yourselves with us. We all love you. Here is to pink and purple and all sweet things. Thank God for them all. And most especially for CJ. I wish the whole world knew what it lost today, for it would mourn along with us. I wish I could have met Charlotte and told her how she has forever changed my life. I wish that I had the proper words to fully expressed the sorrow I feel, for I know this loss is unbearable. I hope that you know Charlotte has made this world a better place, she has left footprints that will never be replaced. I hope you know that Charlotte has accomplished more in 4 years than some people do in 100, and that is why she was allowed her wings so early. I hope you know that I will be a better parent because of the two of you. I love that idea of Charlotte reciting her favorite story plots to the angels (that someone posted earlier). She touched all of us, leaving a true spirit of peace and grace. Peace be with you in this time of healing. I have been watching from the distance and holding my breath with every update. I know she is free now. But my heart aches for your family. I wish you peace and comfort as quickly as you can find it. Dear Charlotte- you are a brave butterfly, loved by many. Safe travels on your next journey. I never met Charlotte in person, but I have been praying hard for her and your whole family since I first read her Caring Bridge page. And now I'm not even trying to hold back my tears. May God bless Charlotte, and keep her in the palm of His hand. Deepest sympathies. Every good and perfect gift comes from above. While my heart aches at the transition of sweet CJ, I also rejoice in knowing that she has returned to the creator. She made an impact on us that will not soon be forgotten. I can hear that little voice from across the waiting area of MRI (where we first met)reading as usual. Now that you have poured all that you have into your little angel it is time for you to pour into each other as you walk the path of healing. Just know that when you want to be alone that it's okay and when you need to lean on someone we are here. Praying for strength and peace that will surpass all your understanding. Despite the forecast for cloudy skies, there is a clear view to Heaven. What a beautiful day for flight...Peace and love to you, Rachel and Roger. Thank you, again, for allowing me and my son, JJ, to come read to Charlotte last week. CJ has changed my life forever, in ways that I couldn't have imagined, and I am a better person now. A million times, thank you. Today a true angel has arisen from earth and entered heaven. She will be the light that guides us all... Take flight sweet butterfly. She will never be forgotten.. RIP sweet Charlotte. Peace, comfort, and love to you both. I only met CJ one time, and it was a pleasure. You have been the most wonderful parents. I hope you take as much time as you need to find peace. She has touched more hearts in her short life here than many people have done in decades of their lives. their song carried on butterfly wings. carrying a princess to a new home. My husband and I have read every post from the beginning, and we have felt God's love through you. We lift up prayers for you! Charlotte will find my dad in heaven. Poppy went to heaven in October and needs a new grandchild. They will read books galore and eat tons of pickles and chocolate and drink chocolate milk straight from the jug. Then I hope they go chase butterflies in heaven's gardens. Rachel and Roger, I cannot put myself in your pain, I can only imagine. I hope you do feel Jesus' arms around you and that you find peace with the loss of your amazing child someday soon. I wish we could take the pain away. I can't imagine the pain you are going through at this time. Know we are shedding tears along with you,and you will remain in our thoughts and prayers. Charlotte will remain in our hearts, and thank you for sharing with us. Butterfly kisses to your little angel Charlotte. Goodbye, little Charlotte. I wish we could have met -- but hopefully someday I will join you and we can be friends! Your story is amazing and you were truly an inspiration to everyone. We have another angel now -- you are up there looking down on us and protecting us now. Rest in peace, CJ. We will be praying for a peace for both of you that surpasses all understanding! May his arms wrap around you and lift you both up in the days to come! Thank you for sharing your story with us you both are an inspiration as was Charlotte! Fly free sweet butterfly! God Bless you both! Charlotte has found peace. I hope you do as well. If there is anything we can do, please just ask. I wish I could somehow shoulder all of your pain. My heart aches so terribly for our loss. There is such an emptiness in my life at this moment and I can't begin to know the pain you feel, but PLEASE know I love you and will be in town sometime next Friday. Butterflies have always had a special meaning for me, and now they have more meaning through Charlotte. Our family is thankful we knew Charlotte as she was an inspiration to many. We will keep you in our prayers. So sorry for your loss! CJ is now at peace, and I hope that you both find some comfort in how much she has touched so many lives. Peace and comfort are in my prayers for you both. May Charlottes butterfly wings shimmer in the everlasting sparkle of Heaven. May she watch over your family, and may she find peace in her newly gained health. The Lord loves her enough to want her with him, and may you find peace in that. I pray for your family, and that you find happiness in this time of darkness, with the simple fact that you had, cross that, HAVE an amazing daughter. This fills me with such sadness. I'm so sorry for your loss and your family is in my thoughts and prayers. I don't personally know your family but have been following your story for some time. Please know that Charlotte touched lives - she has touched mine. We are crying with you. You will continue to be in our prayers during this difficult time. My heart is with you, I cannot thank you enough for sharing your story as honestly as you did. It helps put everything in life in perspective. I am so sorry for your loss, I never met you beautiful baby girl, but I feel like I know all of you. May God bless & keep you in the palm of His hand. Our thoughts and prayers are with you. Thank you for allowing us to share in your journey over the past year. 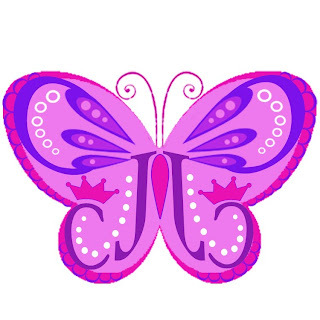 The beauty of a fluttering butterfly will forevermore be linked to your amazing daughter. Thinking about you Rachel and Roger as your little butterfly begins a new journey in her life. May you somehow find peace at such a difficult time. To the Butterfly is just the beginning"
I like to think that on her last breath, Charlotte opened her eyes because she saw the beauty that was Heaven. My heart aches and grieves for your family. To loss a child is incomprensible. May God fill your hearts with strength and love during the following days.You have shared very intimate moments and emotions with so many(many that neither of you have ever met)and we thank you. Caringbridge and CJs Foundation has opened our eyes, minds and hearts on not only your family but those who are dealing with such a horrific situation. In life people become caught up in their own lives they over look others and their needs, CJ has brought so many of us together in many different ways. It will change our lives forever and for the better. Rachel and Roger, you have been blessed with an incredible daughter. One who left too soon but impacted so many. Her imprint is forever in our lives. Our prayers are with you and your family. I am so sorry to hear about Charlotte's passing. I did not realize what was happening when I saw you at the FACES event. I am simply amazed at your strength, courage and love for all children. Whether you like it or not (lol), You continue to amaze us with your strength and determination to make the best of your life. Consequently you touch our lives too. My best exhortation to both of you for tackling your health so quickly. You are a great role model to many of us. I wish your retreat is a very warm and cozy one. Enjoy having each other. I wonder how much more you know each other now. Very profound experience. Thank you for the last couple of posts. I didn't expect it, since you need time to be alone. But as we all have come to know you for a while now, you guys are soooo good in giving. God bless you. Your words touched so very many.